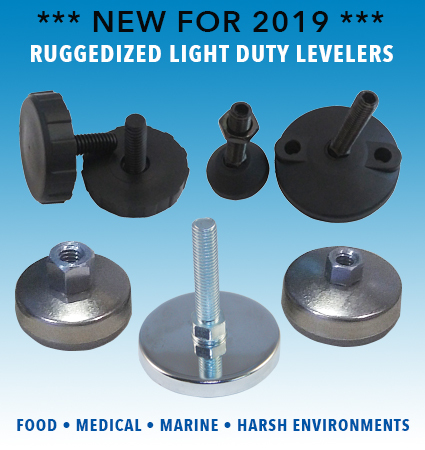 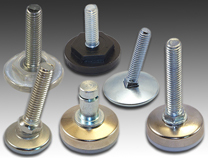 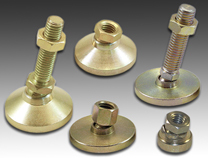 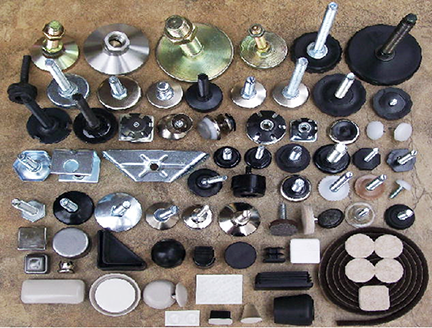 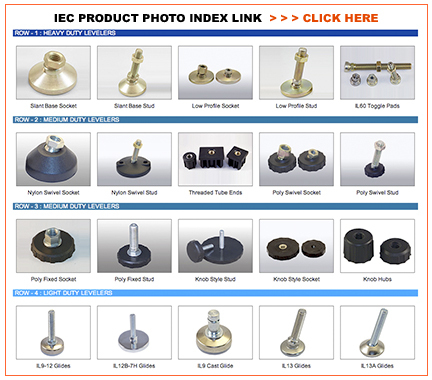 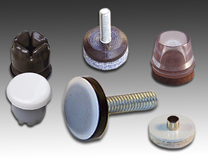 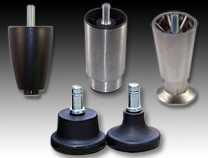 IEC manufactures leveling mounts, leveling feet, industrial lobe and pronged knobs, metric levelers, swivel levelers, rigid levelers, hex levelers, adjustable feet, leveling pads, furniture glides, furniture legs, leg levelers, swivel glides, rigid glides, tack glides, chair feet, table feet, desk glides, adhesive backed felt pads, self stick felt and foam pads, floor protectors, furniture sliders, moving sliders, teflon sliders, peel and stick neoprene and polyurethane pads and bumpers, threaded tubing inserts, tube ends, tubing caps, plastic caps and plugs, vinyl caps, vibration mounts, knobs, handles and levers, and a wide variety of custom threaded components. 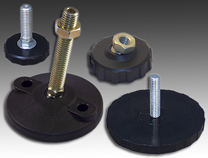 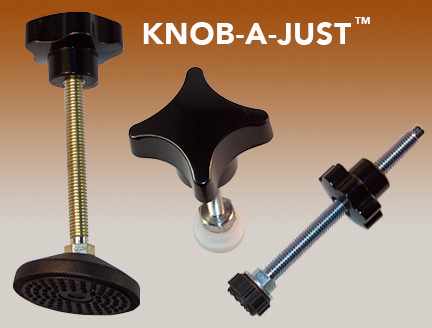 Add a knob to the top of any IEC leveler to create your own quick adjust, wrenchless leveler or clamping device. 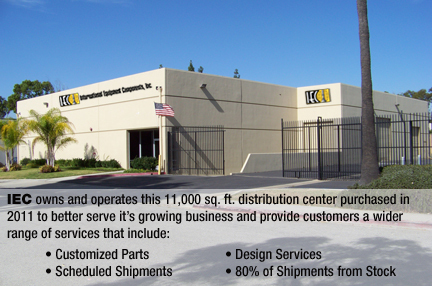 "We'd like to say thank you to our loyal customers for your ongoing support. 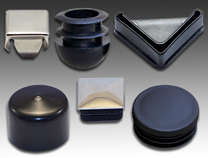 We greatly appreciate the opportunity to offer you product solutions designed and manufactured to meet your exact requirements while providing you the assurance that the IEC products you specify today will be available for the duration of your product life-cycle." 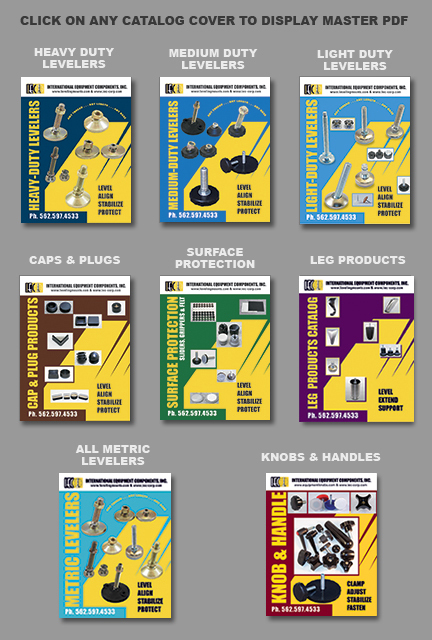 Copyright © 2019 IEC, Inc.